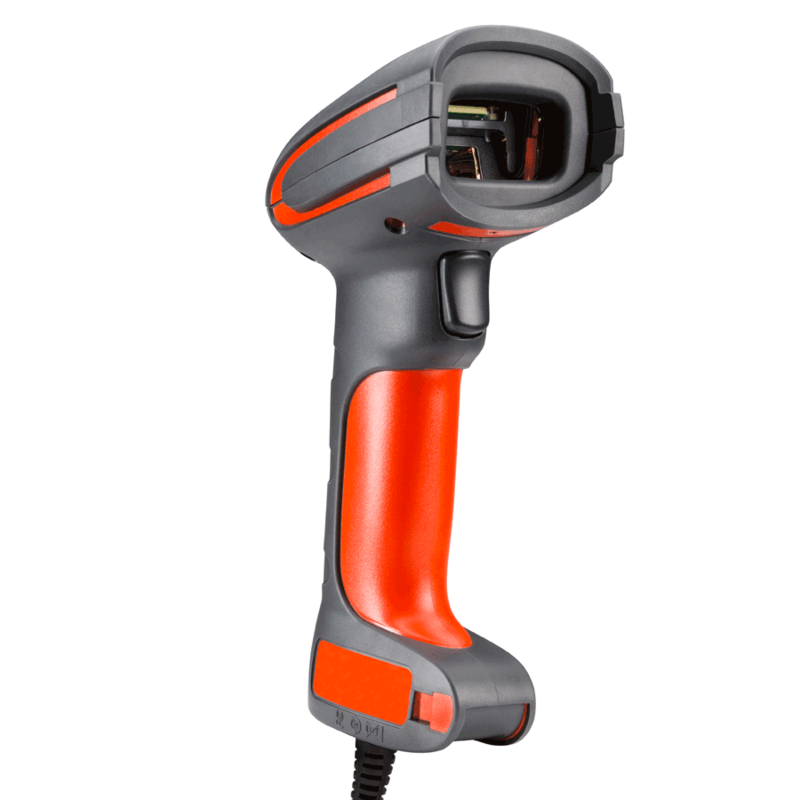 The Granit™ 1280i industrial-grade full range laser scanner goes the distance, reading bar codes out to 54 feet (16.5m). From poor quality 7.5 mil paper codes to 100 mil retro-reflective codes and everything in between, the 1280i is built to read virtually all linear bar codes across a wide depth-of-field range with ease — supporting maximum operator productivity with its enhanced reading range, intuitive and configurable aiming patterns, and quick responsiveness. As a member of the Granit Family of industrial scanners, the 1280i is built to withstand the varied demands that exist in harsh working environments. Utilizing the Granit housing that sets the standard for scanner reliability, the 1280i is rated IP65 and is built to survive 5,000 (1m) tumbles and 50 drops to concrete from 6.5 feet (2m) — even at temperatures as low as -30°C. As a result, businesses deploying this industry-leading offering can expect to experience minimal device downtime and a lower overall cost of ownership. Class-Leading Durability: The custom built IP65 rated housing is able to withstand 5,000 (1m) tumbles and survive 50 drops from 6.5 feet (2m) at -30°C (-22°F), reducing service costs and increasing device uptime. Outstanding Scan Performance on Poor Quality and Damaged Bar Codes: Maintains productivity by providing a worry-free scanning solution that minimizes the need for error-prone manual data entry. Remote MasterMind™ Scanning Management Software: Quick and convenient solution for IT administrators seeking to manage scanners within their network from a single remote location. Full Range Linear Depth of Field: Scan out to 54 feet (16.5m) on 100 mil retro-reflective labels, or as close as 3.5” (8.9cm) on 7.5 mil high density bar codes and everything in between. Industrial Grade Cable Option: Tested to withstand 300,000 90° bends at -30°C and continues to communicate when 60lbs of force is applied. The industrial grade cable will stand up to your environment. Optimized for Scanning-Intensive Industrial Applications: Provides aggressive bar code reading and unrivaled accuracy, along with enhanced scanner feedback, for use in extremely noisy environments. SMG3 is different from most companies and does not provide discounted prices. Our solution managers seek to provide you the most information possible to build you a final quote which will include our best price. Please contact our team of highly trained professionals to discuss the solution and your project. © 2019 Strategic Mobility Group. All Rights Reserved.